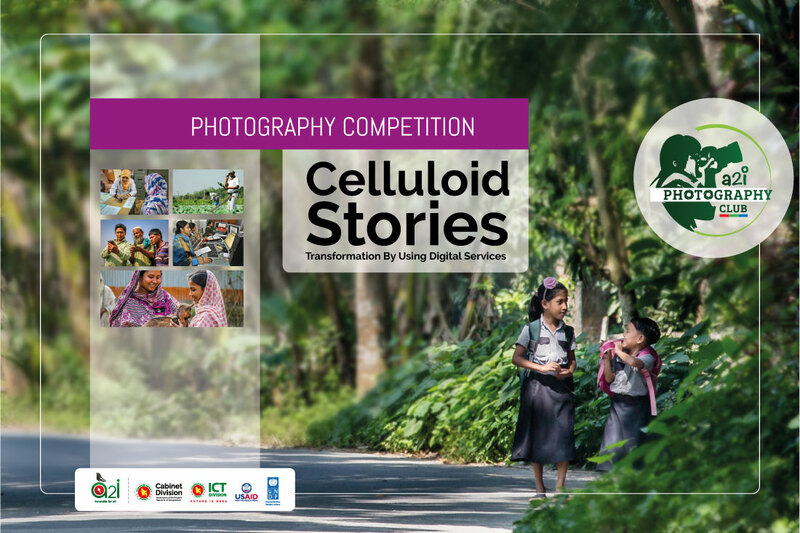 The main goal of this competition is to illustrate the development of Digital Bangladesh through the photos captured by young photographers highlighting the above-mentioned topics. The last date for submission of photographs is April 24, 2019. No copyright/watermark on the photos is allowed. One can only submit photos taken by him/herself. The photos must contain its original metadata. A photo’s location, date and what inspired you to take the photo (caption/story behind the photo) must be mentioned. Altered or modified photos are not allowed. Only single exposure and single frame pictures will be accepted. The following are not accepted: 1. Multiple exposures, polyptychs (diptychs, triptychs, and so forth). 2. Stitched panoramas, either produced in-camera or with image editing software. Minor edits such as color correction and brightness adjustment are acceptable. Legal measures will be taken if one submits photos taken by someone else. Participants can submit a maximum of three (3) photos in each topic. One best photo will be selected. The photos submitted for the competition will have to be in JPEG format. Any photo that has won any award previously cannot be submitted. Only color photographs can be submitted. The original photograph of the selected photos will have to be submitted later. The photographer’s name (both in Bengali and English), address, phone number, e-mail ID and details of the photos will have to be provided alongside the submitted photos. a2i reserves the right to use the photos selected in this competition in any campaign/publication of a2i or the government. If the selected photos are used in any publications, a2i will give the photo credit to the photographer. a2i officials or their family members cannot participate in this competition. The photos selected in this competition cannot be submitted in any other competition later. In addition to the photos, copies of the photographer's student and national identity cards, and document proving affiliation to any photography club (if any) will have to be submitted. If the submitted photos appear offensive to any race or group, the contestant concerned will be disqualified. Photos will be declared ineligible for submission if they are found inappropriate, offensive, promoting harmful behavior, disrespectful, indecent or violating a third-party's privacy obligations with the contestant. The photographer must take permission from the person featured particularly in a photo. Otherwise, the photographer will be responsible for every issue in this regard. The photographer will also have to submit a No Objection Certificate in this regard. No type of TA/DA will be provided in this competition. a2i reserves the right to modify and cancel the competition’s rules and activities. a2i reserves the right to cancel and amend anything in this competition without notice in case of violation of any domestic law.